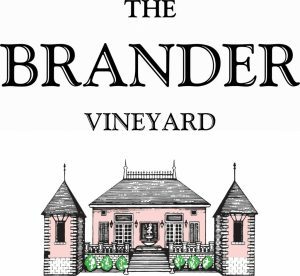 The Brander Vineyard, situated on 52 acres of land just east Los Olivos, was purchased by the Brander family in 1974. The site was chosen by Fred Brander due to its propitious combination of factors: a gently south-facing aspect, excellent soil, and a climate ideally suited to growing the grape varieties found in the Bordeaux region of France. The first vines on the property were planted in 1975, with ten acres of Sauvignon Blanc, six acres of Cabernet Sauvignon, five acres of Merlot, and two and a half acres of Semillon. While the list of varieties grown here has remained Bordeaux-centric, we now have additional small plantings of Chardonnay, Pinot Gris, Sauvignon Gris, and Syrah in our quest to make complimentary and interesting blends with our estate white and red Bordeaux varietals. The Brander Vineyard itself is situated in a kind viticultural Goldilocks zone, with a climate that is nearly perfect for growing and producing the graceful, classically-styled, Bordeaux-influenced wines we are so well known for. Sauvignon Blanc and Cabernet Sauvignon, varieties for which Fred Brander served as a pioneer in planting, flourish in this area, with its remarkable similarities to Bordeaux.